Dianne came to teaching after several years as a freelance costume designer. She was the resident costume designer for the Old Globe Theatre in San Diego, during which time she won five Globe Atlas Awards for Best Costume Design. While resident designer for the Gaslamp Quarter Theatre, she received the San Diego Theatre Critics Circle Award and the Los Angeles DramaLogue Award for Costume Design. 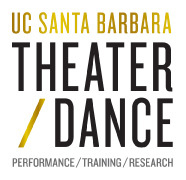 At UCSB Dianne has designed numerous productions including Timon of Athens, The Dinosaur Within, Brown Baby, bobrauschenbergamerica, Melancholy Play, Life's a Dream, A View from the Bridge, Much Ado About Nothing, Electra, Hotel Paradiso, and costumes for many Dance Division dance concerts. Prior to joining the UCSB faculty, Dianne was the Head of the Graduate Program in Costume Design at San Diego State University for eight years.